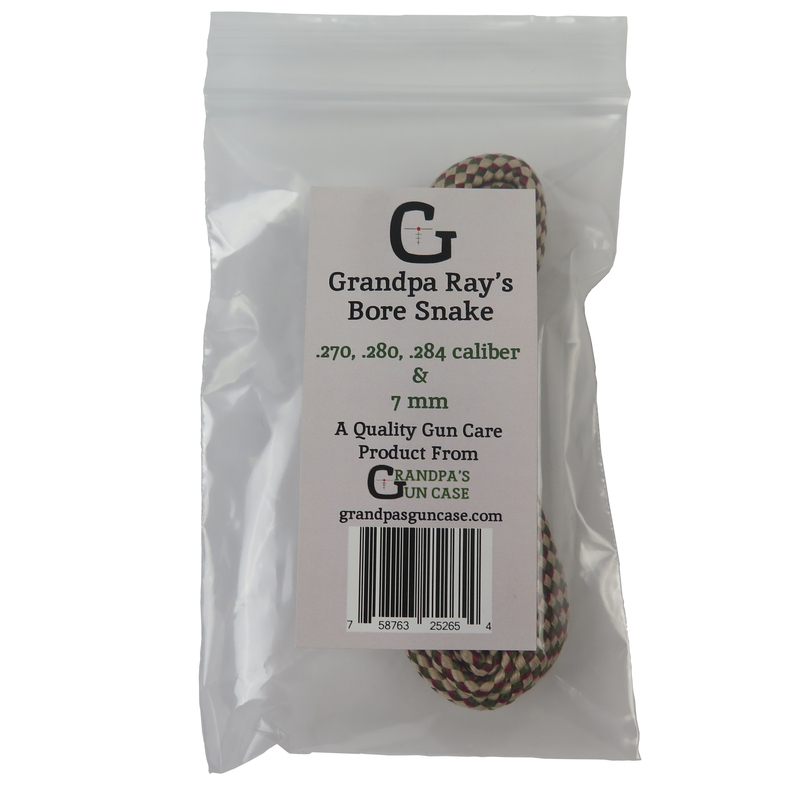 Grandpa Ray’s Bore Snake is perhaps the fastest bore cleaning system you can find. 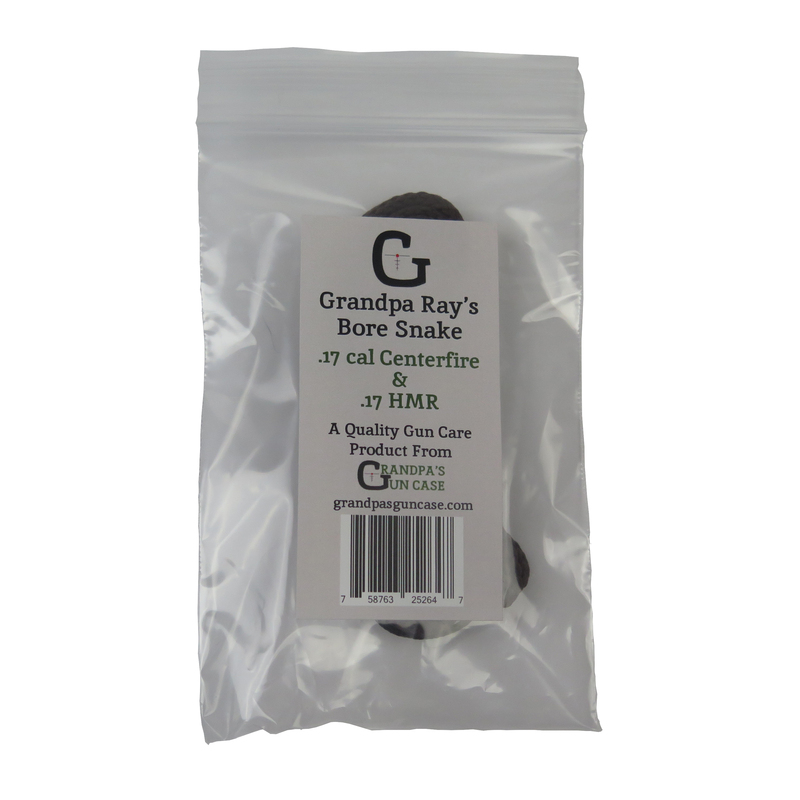 With just one pass through the bore, Grandpa Ray’s snake loosens all sorts of particles and fouling and scrubs away residue with an interwoven bronze brush. 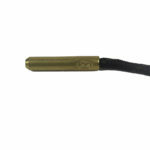 Just slip the bronze tip in and then pull through. 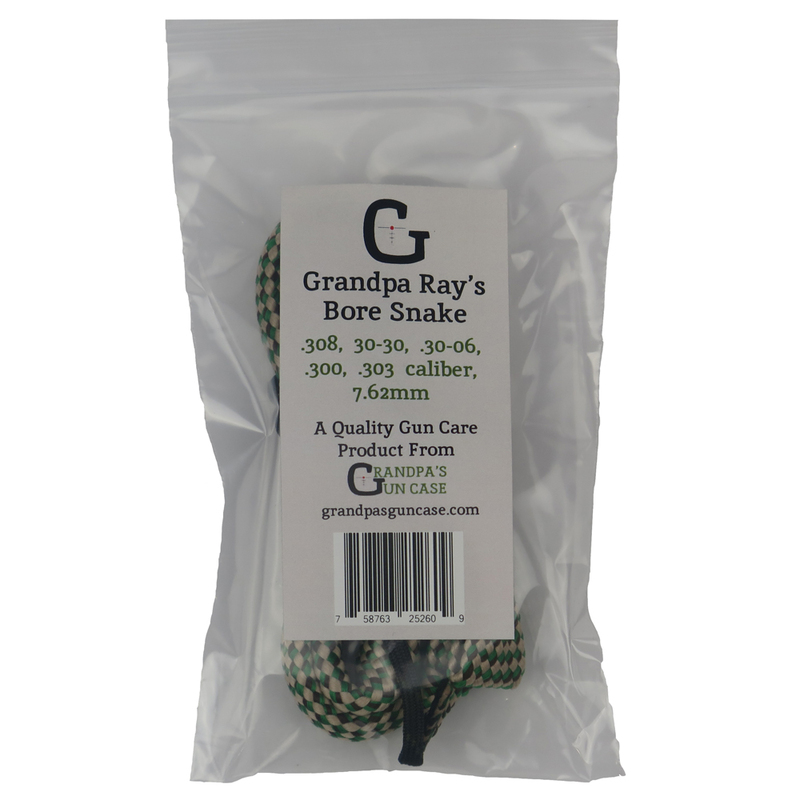 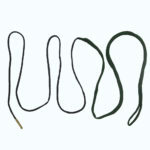 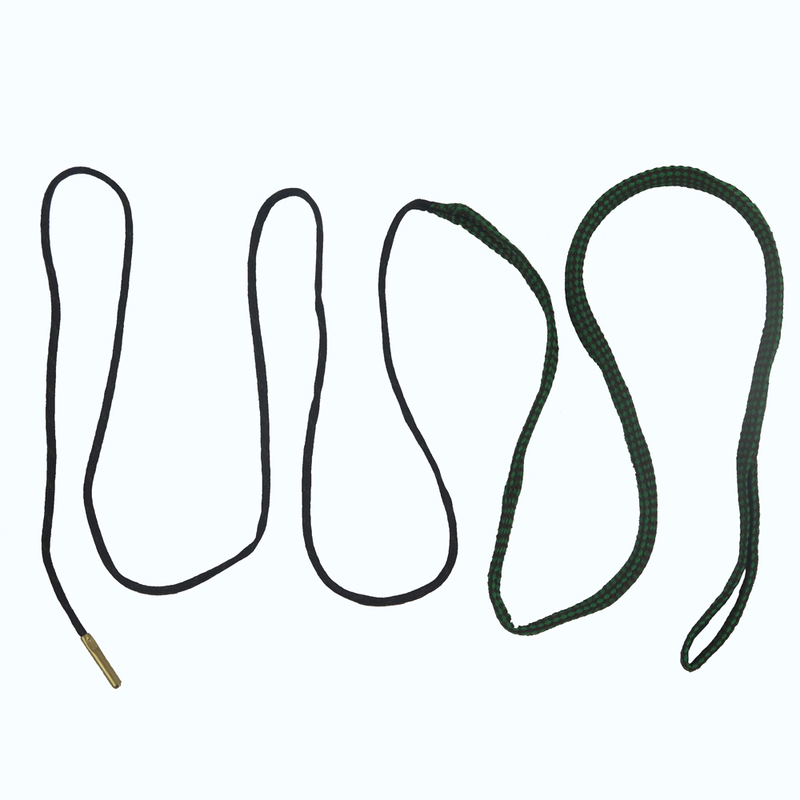 Grandpa Ray’s Bore Snake offers perhaps the fastest bore cleaning system you can find. 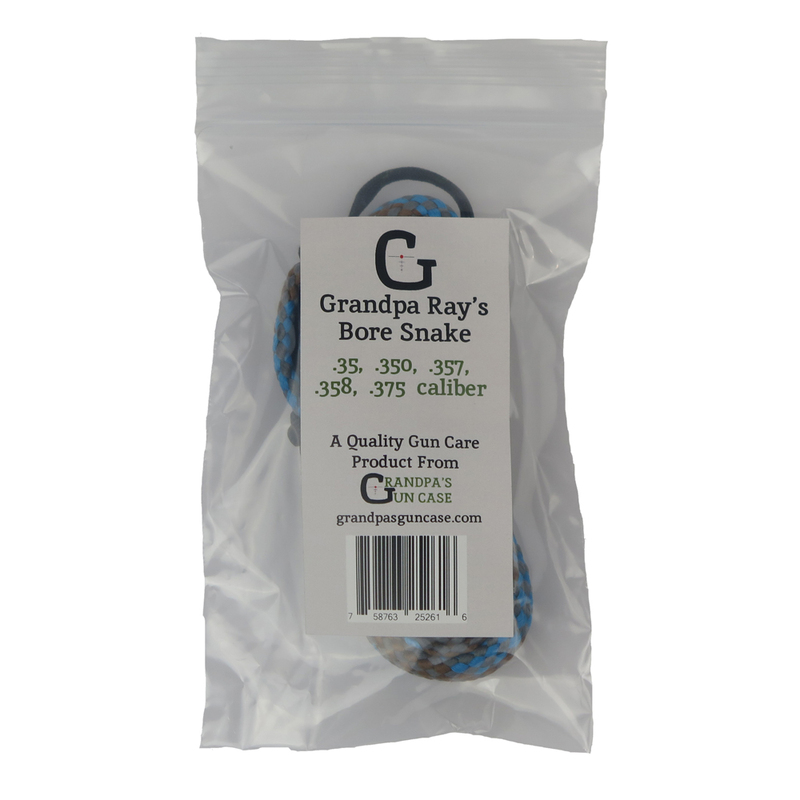 With just one pass through the bore, Grandpa Ray’s snake loosens all sorts of particles and fouling and scrubs away residue with an interwoven bronze brush. 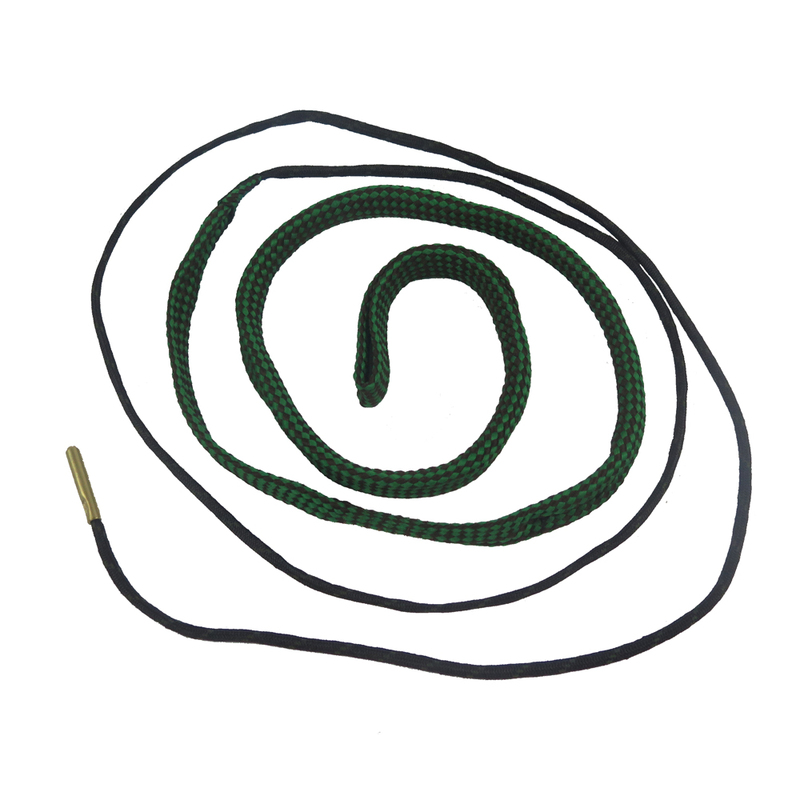 Much more effective than patches. 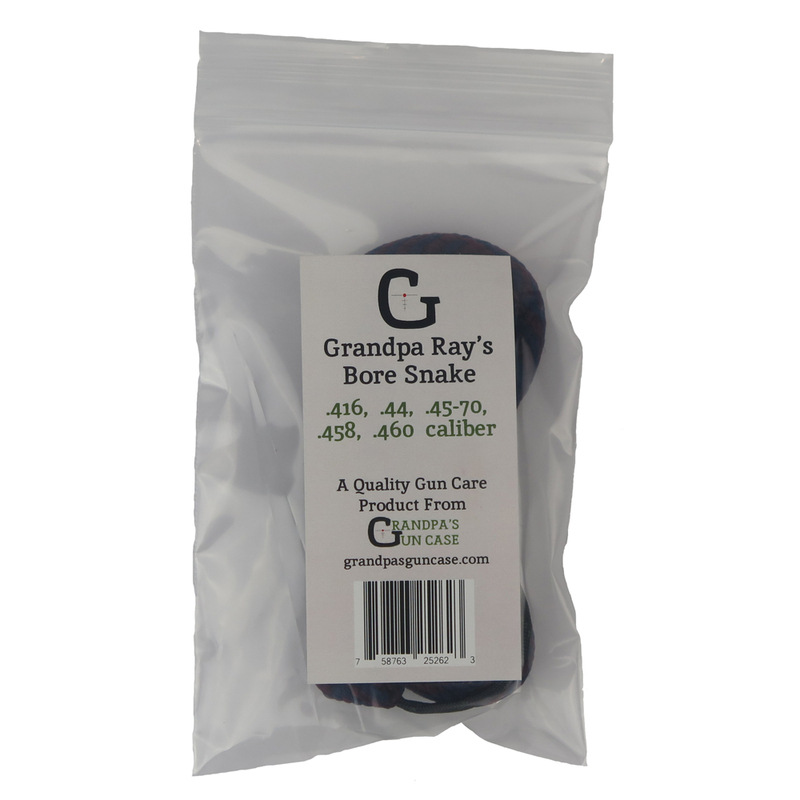 For even a more through cleaning, try using your bore snake with a few sprays of Super Quick Clean Guns Solution, a total CLP cleaning solution that cleans, lubricates, and protects firearms like no other product on the market. 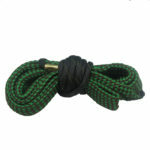 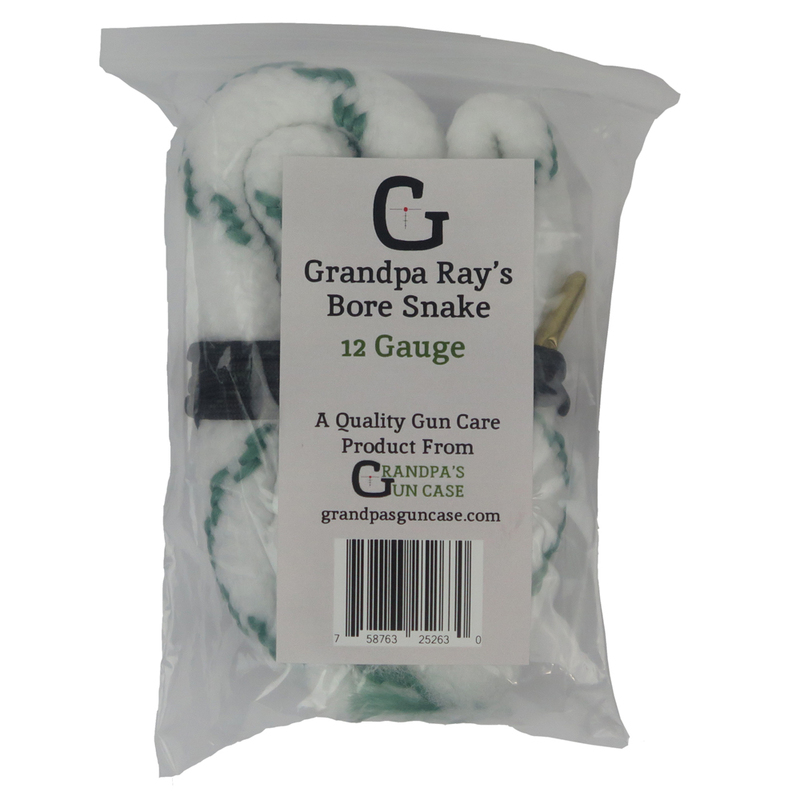 Grandpa Ray’s Bore Snake easily tucks away in your gun case right alongside your other gun care supplies. 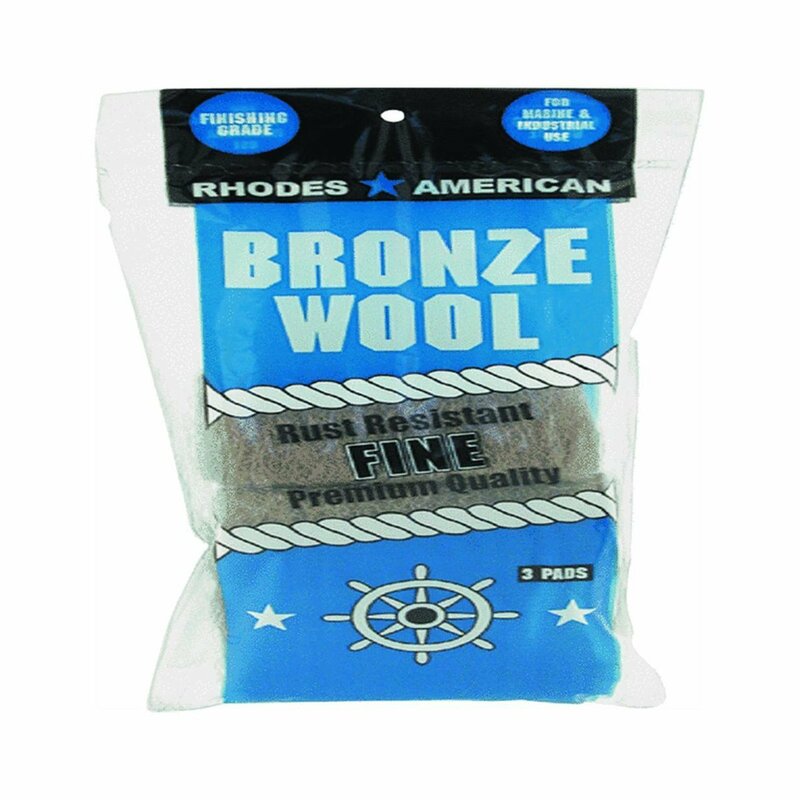 It is 100% polyester, so it is machine washable and a breeze to care for. 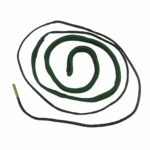 CLEANS: Penetrates all manner of fouling without harsh chemicals or strong odors. 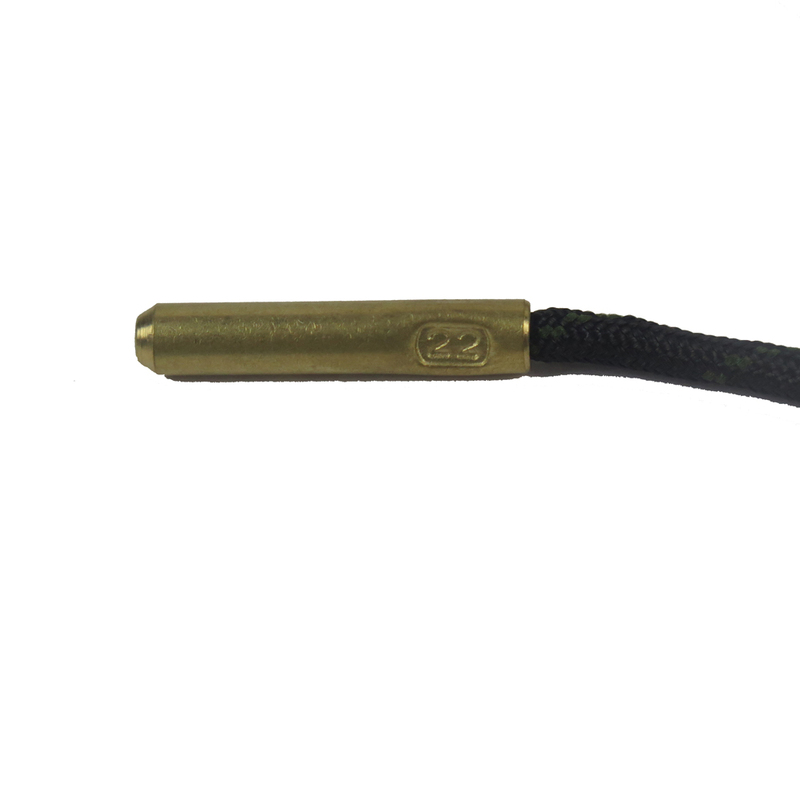 LUBRICATES: A dry micro-lube that bonds to the base metal and dries without oily residue. 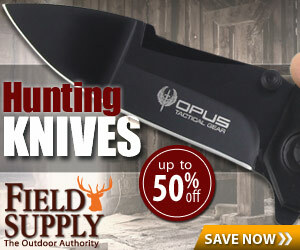 PROTECTS: Removes and inhibits rust. 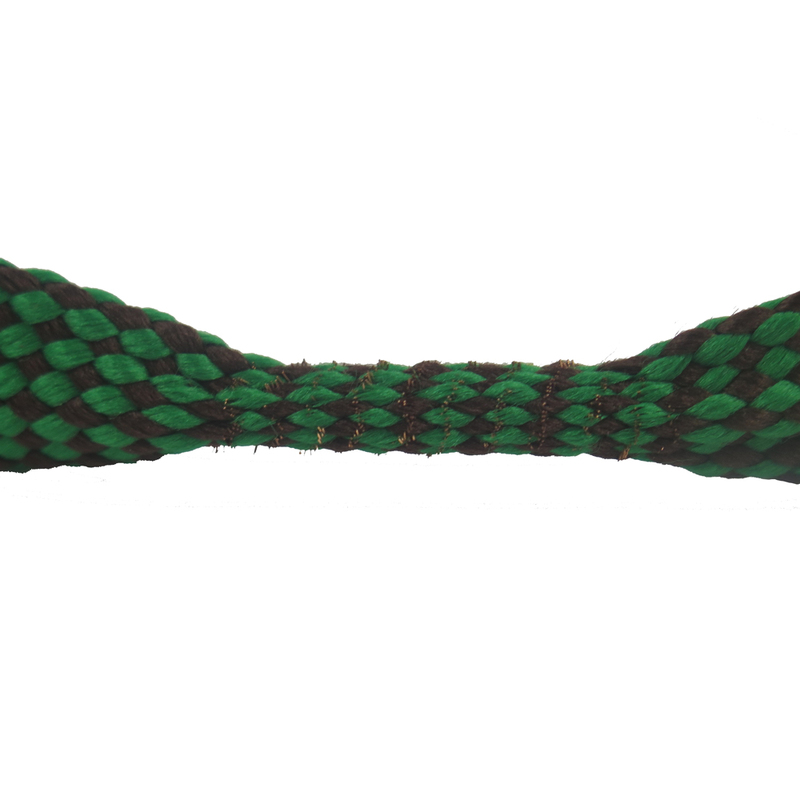 Repels moisture, salt, and sweat. 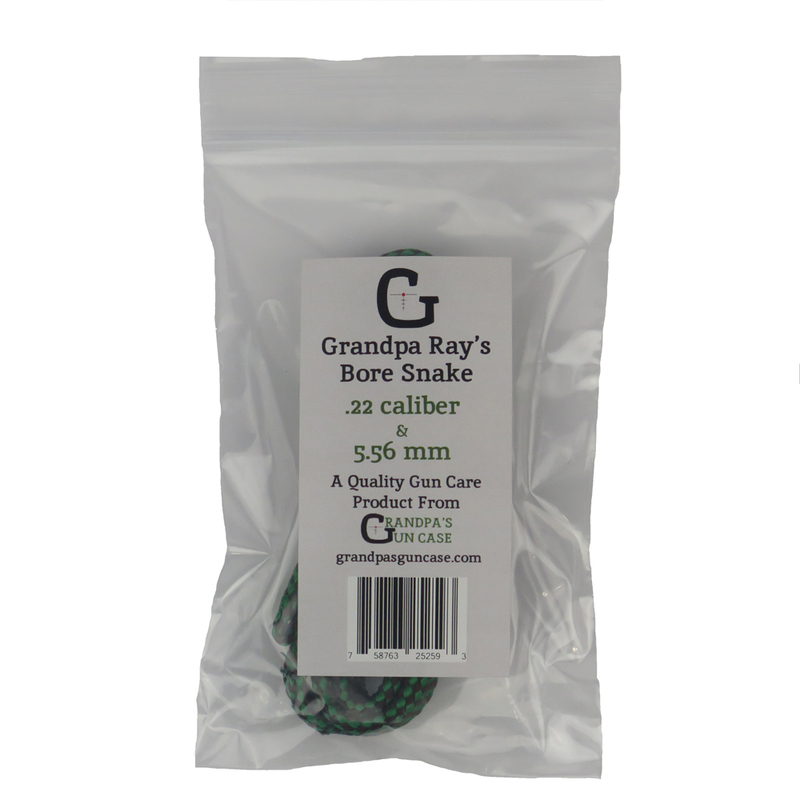 Currently available in 4 and 8 ounce bottles.